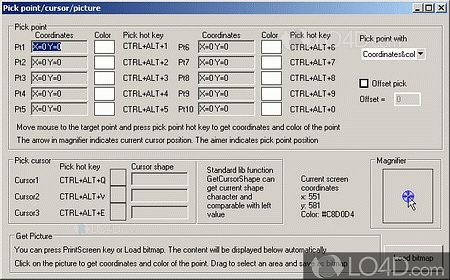 Quick Macro is a shareware macro recorder app filed under automation tools and made available by Brothers Software for Windows. The review for Quick Macro has not been completed yet, but it was tested by an editor here on a PC and a list of features has been compiled; see below. Quick Macro is a tool for recording, editing and replaying macros for use with keyboards and mouses. Novice and advanced users alike will be able to use the program, which has an easy-to-use script editing interface for creating macros quickly. For professional programmers who wish to program macros, Quick Macro has a programmable script editing interface with Visual Basic Script language enabled. A few ways that Quick Macro can be used are as a Windows Automation Scheduler, Network Manager, Game Auto-Player and many others. Other features include a template wizard for macro creation and thousands of macro scripts already available on the internet which can be edited with the program. Quick Macro is licensed as shareware for the Windows operating system from automation tools and can be used as a free trial until the trial period ends (after 30 days). The Quick Macro 6.6 demo is available to all software users as a free download with potential restrictions and is not necessarily the download of the full version. Compatibility with this macro recorder software may vary, but will generally run fine under Microsoft Windows 10, 8, 8.1, 7, Vista and XP on either a 32-bit or 64-bit setup. A separate x64 version may be available from Brothers Software. This download is distributed as quickmacro6.zip.